Assisted living in Columbus checks in above the national average. The 2015 Genworth Cost of Care Survey lists the average annual cost to be $49,350, which is much higher than the U.S. average of $43,200. On a per month basis, this annual figure breaks down to $4,113 per month. If you look at things from a daily rate, the cost hovers around $135 per day. Assisted living is actually lower than the average range for home health care in Columbus, which ranges from $45,760 per year for homemaker services and $48,917 per year for home health aide services. Assisted living is also substantially less expensive on average than nursing home care in Columbus; the average cost for semi-private nursing home care in Columbus is $71,905 per year, and the average cost for a private room is $75,920 per year. The veteran wakes up at their preferred time. Morning ritual – this can be drinking a cup of coffee and reading the paper, or making the bed before breakfast. Anything the veteran likes to do in the morning before starting their day. Breakfast with the other residents in the dining hall. Morning activity – each assisted living facility will have something different they do, but this might be gardening, wood work, peeling apples and baking pies, etc. Exercise – this includes walking, yoga, Qigong or Tai Chi, or something else the veterans might prefer. Lunch with the other residents in the dining hall. Day trip – either to the grocery store, a museum, or retail shops. Afternoon social – these are sometimes themed, and there are usually snacks and drinks available as residents socialize. Dinner with the other residents in the dining hall. Evening activities – Bingo, cards, movies, board games, etc. As mentioned before, this will vary from community to community and the list above is only an idea. But, there is plenty to do to keep veterans active. A private studio or 1-bedroom apartment style space. Utilities such as electric, water, and gas. Wellness and fitness programs such as walking clubs, yoga, and Tai Chi. Social and recreational activities that keep residents engaged and active. 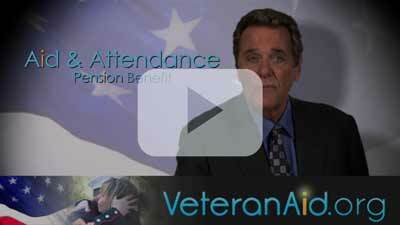 Columbus, OH has many resources available to veterans and their families. There is the Military Veterans Resource Center, which runs a food drive, hosts a job board, helps with housing, and offers transportation. Their goal is to get vets off the streets and into steady jobs and housing, but they help all vets regardless of their needs. There is also the Ohio Department of Veteran Affairs (VA), and the mayor's office also has resources available for veterans. Both the Military Veterans Resource Center and the VA could always use volunteers, especially veterans who want to help other veterans. Those who are already in assisted living communities have navigated the tricky waters of veteran benefits, and they're in a good position to offer advice to those vets going through it now. It's a great opportunity to provide insight to other veterans while engaging in more than just assisted living activities. Despite Columbus' impressive resources for veterans, there aren't a lot of military attractions that veterans might be interested in visiting. In fact, it seems Columbus is more about expanding a veteran's horizons with other points of interest. The Wagner-Hagans Auto Museum is a popular choice for many veterans. It has one of the largest vintage auto collections in the nation, and admission is free. Another favorite is the German Village. The village is an area of Columbus that was originally settled by a large population of German immigrants, so the architecture is distinctly German. The village has several cultural and historic events that take place each month and there is shopping and dining available for visitors. Veterans usually enjoy the architecture and history, and possibly the bourbon tasting which happens often as well.